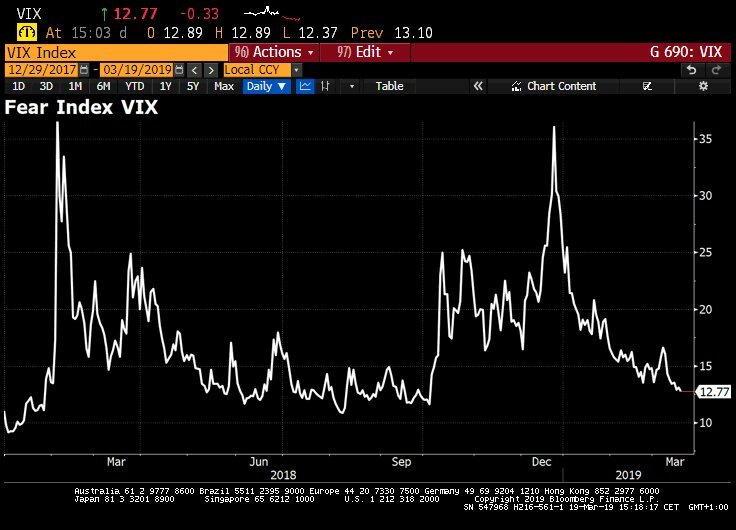 Volatility collapses in Emerging Markets. Suggest euphoria which is seen in EM currencies also along with Chinese Yuan. Panic over? 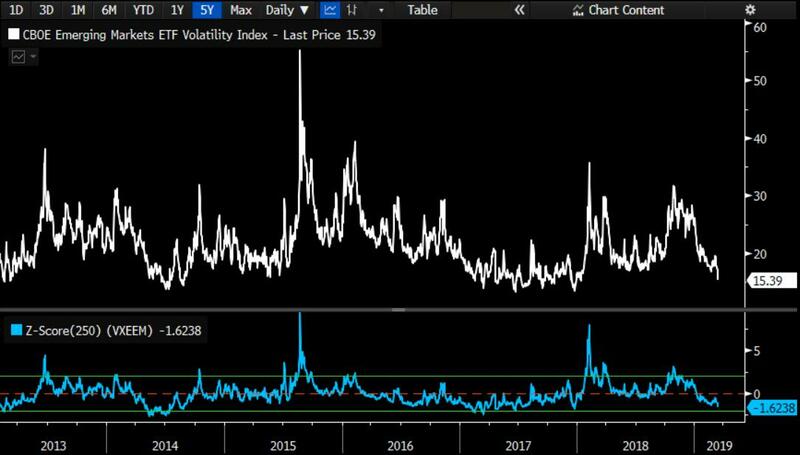 It is according to the derivative markets: Even Wall Street’s fear gauge VIX drops to over 5mth low. 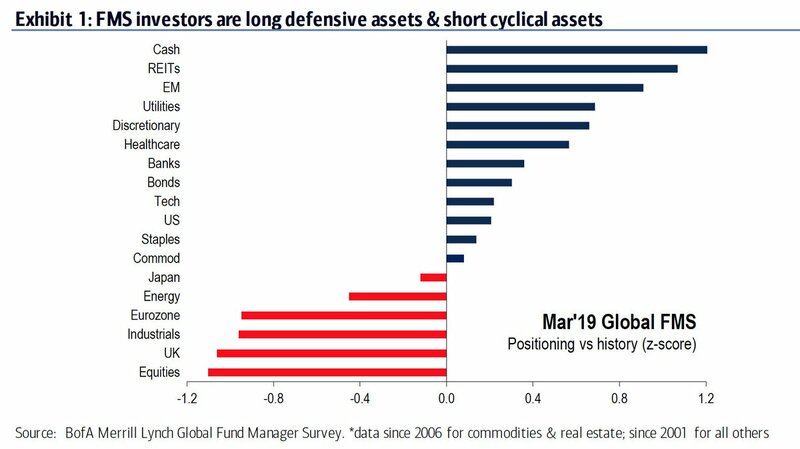 “Pain trade” for stocks is still up: In BofAML March Global Fund Manager Survey (FMS) profit expectations rose, rate expectations fell BUT allocations to stocks dropped to their lowest level since Sep ’16. 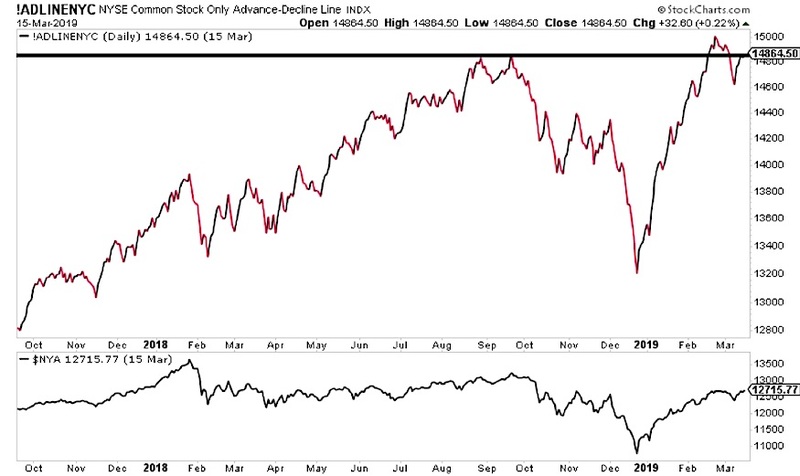 Below is a look at the broadest measure of advance-decline line breadth, the NYSE stock only Advance-Decline line. A simple failure to hold new highs in breadth marked the top in the NYSE in the fall. Now, breadth is notably diverging from price after a massive rip while it has stopped right at that old September high area. Aaron writes…We have evidence of both a longer term bullish sign with a shorter term caution sign. Thus, it seems prudent to be aware of downside risks now while keeping in mind the longer term framework, supporting an eventual move to new highs.